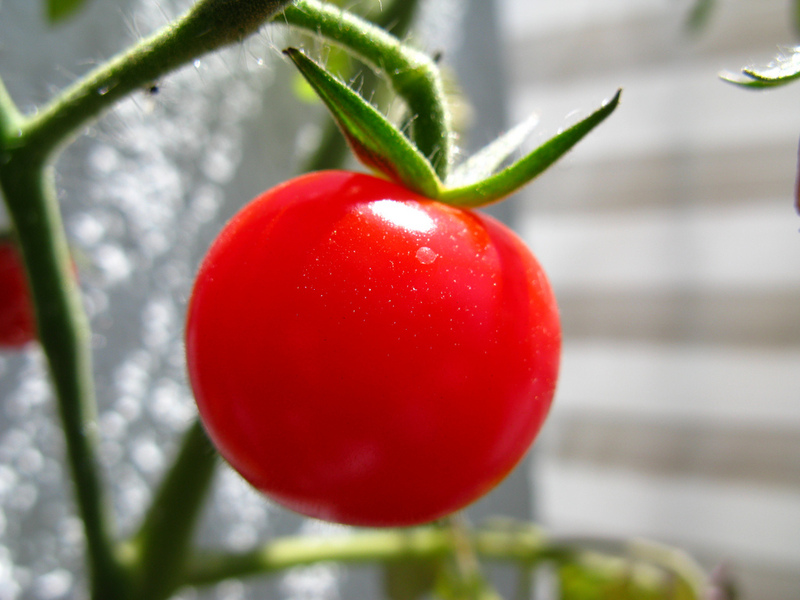 Plant your tomato crop in late spring or early summer. Tomatoes need 18in to 3ft to grow, depending on the variety, as well as a trellis or cage to encourage vertical growth. Plant tomatoes in a container or garden plot that receives at least 8 hours of sunlight per day, burying two-thirds of the stem to increase its ability to draw water from the soil. Test the soil’s pH before planting (6.2 to 6.8 is ideal for growing tomatoes) and supplement the plot with a balanced organic fertilizer. To create a nutrient-rich soil, mix in several inches of compost. To determine which type of tomato to plant in your garden, first assess your reasons for planting. Heirloom and open-pollinated plants let gardeners save seeds from year to year. Hybrid tomatoes are bred with higher resistance to disease and pests, but do not grow from true seed. Determinate tomato plants will grow to a specific height and then stop, while indeterminate tomatoes will grow all season. Varieties may yield cherry-sized fruit (ideal for salads), large and juicy produce, thick-fleshed tomatoes that lend well to canning, non-red tomatoes, or fruit that slices well for eating. To learn more about choosing the right tomato plant, contact Autumn Hill Nursery. To grow a container garden of lush tomatoes, start with a large (18 inch to 3 feet) pot that’s reinforced with a cage or stake. Ensure good drainage in potting containers. 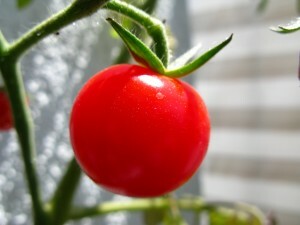 Grow smaller tomatoes for a better yield (cherry tomatoes thrive in container gardens). Saturate the entire area when watering and feed the plant with small, frequent applications. Keep your plants well-trimmed and your containers clean to prevent disease growth in the tomatoes. Tomatoes are susceptible to blight, especially in the humid summer climate of North Georgia. Blight begins as a dark fungal growth on lower leaves and quickly overtakes tomato plants. Eradicate tomato blight by spraying fungicide (such as chlorothanalonil or copper) onto the leaves. Keep vegetable gardens clean of organic debris and maintain an appropriate watering schedule to further prevent disease in tomatoes. Many tomatoes fall prey to hornworms in mid-summer. Act against these green caterpillars ASAP or your tomatoes will wind up leafless with damaged fruit.